Best cities retire locations have become plagued with economic ruin and crushed real estate markets. As a result, places like Arizona and Florida are no longer the best places for retiring individuals. The cities have become far more expensive to live in; so many people choose to live elsewhere. There are plenty of beautiful places to retire that do not include major cities or states. These areas are cheaper, more beautiful, which will provide an interesting lifestyle. It is the perfect getaway for adventurous retirees who still want excitement during their retirement years. Listed below are three of the best cities retire options that many people do not know about. This city has become a haven for American retirees who want a quiet and quaint lifestyle. The city is surrounded by a sparkling lake and lush mountains, creating a peaceful atmosphere. The climate is pleasant all year around, so you will be in a tropical paradise throughout the entire year. There are plenty of foreigners who have already retired in Ajijic, so it is easy to make friends and acquaintances. Retirees can join one of the numerous English-speaking clubs that are filled with similar patrons. Unlike other cities retire locations; this is not a vacation spot that will get flooded by wild tourists during the spring. 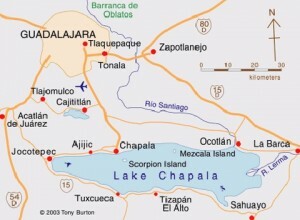 Mexico expects the retirement industry to continue to grow, so it is a good investment to buy a house in Ajijic while the price is relatively low. When retiring in Tuscany, most people think about multi-million dollar villas that overlook olive groves. 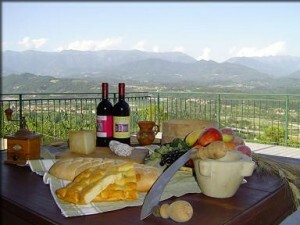 However, certain areas of Tuscany are not big tourist attractions, so the price is far more affordable. The atmosphere can be just as beautiful though, and popular destinations are only a short drive away. Lunigiana is a city surrounded by green hills. The landscape is filled with old churches, castles, and houses that have been built hundreds of years ago. Although some villas cost millions of dollars, budget-minded retirees can buy a restored house for less than $100,000. Living in an Italian city will provide premium medical facilities, easy transportation, and a rich culture. Italian cities retire will allow you to safely go out at night or drop by opera performances when walking through a neighboring town. It is a dream retiring location that can be found for affordable prices. 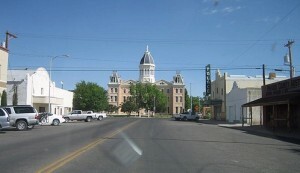 Marfa is a city that is located several hours away from the nearest airport. It has a population of 2000 people and is known for its â€œfunky artsâ€ and excellent art museum. Recently, it has also become a food center, attracting people from all over the world who want to enjoy gourmet food while looking at fine art. Many tourists are also drawn to the mystery lights that light the horizon at night. Of all the cities retire options; Marfa is one of the best choices if you want to remain in the US. The crime rate is very low and there is virtually no traffic. The weather is beautiful throughout the year and the city is surrounded by beautiful scenery.